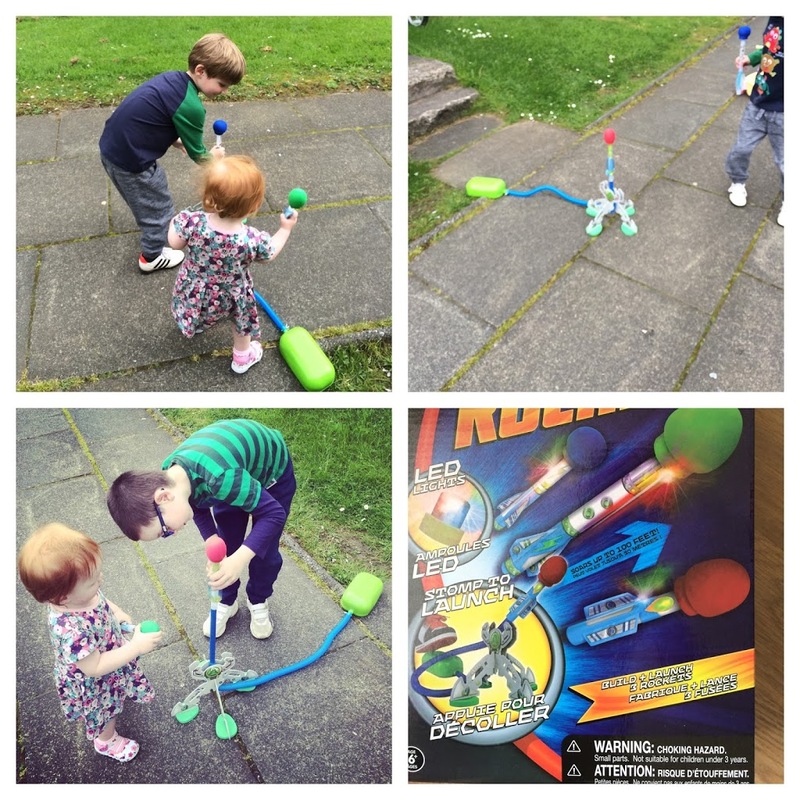 We are more than loving being Asobi Ambassadors, last month we got to review and giveaway the PL-UG Ultimate Den Building Kit and the month before the Seedling Colour The Globe, this month we got to have fun with a great product from the OrbFactory, we chose to review and giveaway the Curiosity Kits® Rocket Launcher. The boys and even Aria had so much fun with this toy, for a kit it’s surprisingly sturdy and well made and still going after being played with every single day. Yes even indoors. I will also have one of these kits to giveaway at the bottom of the page. Who are The Orb Factory? They are a Canadian born craft brand who product an amazing range of kits which are simple and easy to use, are mess free and are a lot of fun.Their bestselling line, Sticky Mosaics®, allow kids to peel and stick foam and jewel tiles to create mosaic masterpieces that are ready for display. All kits stimulate the children’s imagination, while learning and being able to create something, feeling a great achievement. The Orb Factory has hundreds of kits to choose from, there is bound to be one to suit everyone. We really enjoyed the kit we had as you can see below. Before we even opened the box we read the fun facts on the side of the box which explained how, when, and by whom rockets were first invented. 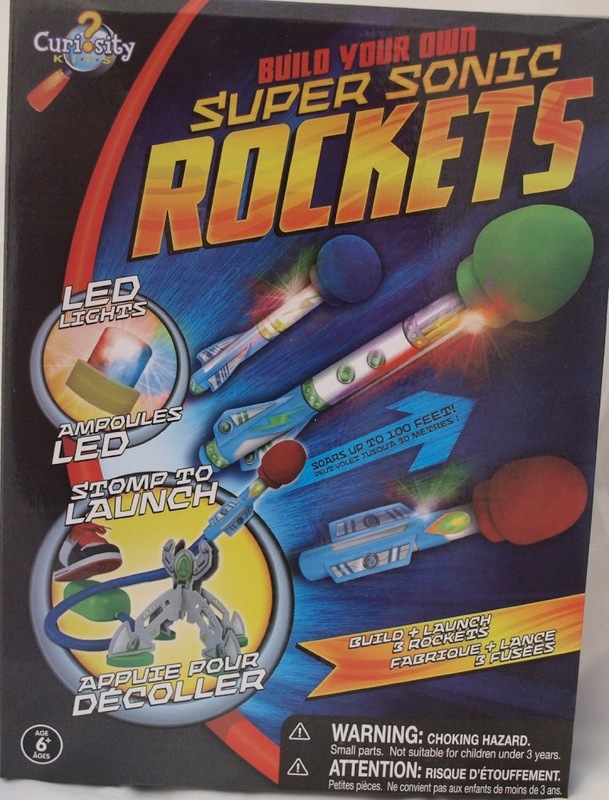 We were so excited to find out how these rockets light up and glow in the dark. 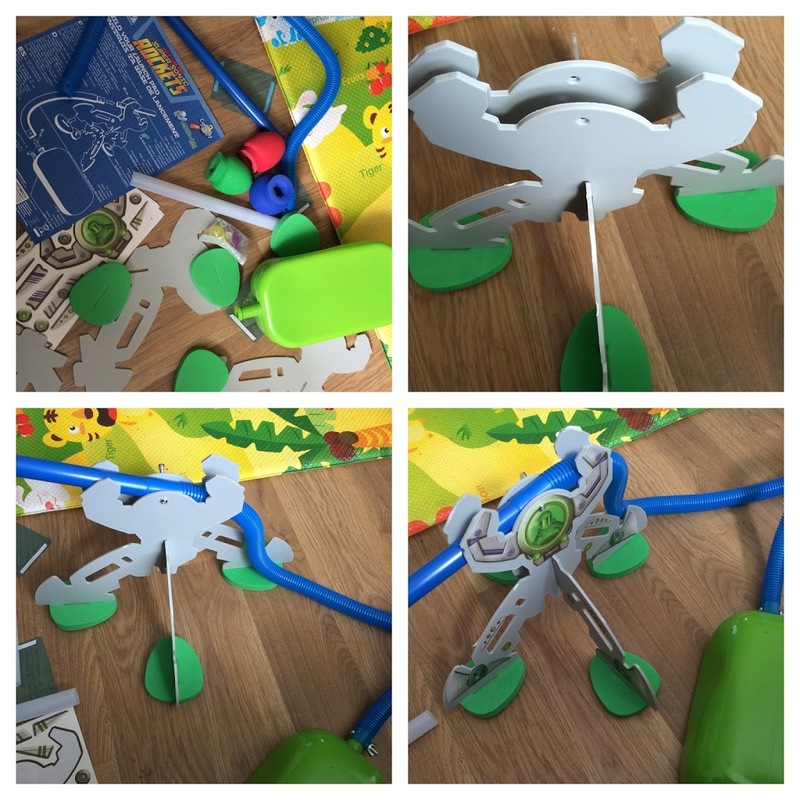 This toy is genius! Tyler and I poured the kit out of it’s box when Lucas was at football and Aria was asleep. Some middle child bonding time. He loves to build and explore so this toy was perfect for him. We followed the instructions together and with the look of the stand, I wasn’t sure this would stay in one piece, but it did and it’s really sturdy. Even with a 15 month old pulling it about by the hose. Nothing has fallen off or broke. We have used it loads and I think that’s a huge Brownie point in my book for a kit. It was simple and easy to put together and the stand looks like something from outer space. I loved that the instructions looked like a blue print you see on the tv. Tyler was unable to build the thing himself, but only needed minimal help with the wing nuts and holding it together. There are lots of stickers to put on the Rockets and the launcher which are fun. There is also a light which is fitted to the top of the rocket which lights up as it’s shot into the air. The stickers glow in the dark and look great. The rockets have three different sizes of tubes, which the child can see if that makes a difference when they are being shot into the air. Why not get them to write down how far they think each one has flown? Educational and fun. Once it was built Lucas and Aria joined in to help Tyler launch it. It was simple and easy to setup. Aria who is 16 months can put the rocket on and launch it. It’s hilarious, she does this for hours. It might not go far with her little stomp, but it works. You put one of the rockets onto the launcher tube, smooth out the air tube and stomp on the pump. Whoosh and away it goes. Simples! Look at that rocket go… It was hard to capture, but I did my best. We tried it indoors and yes it works, but you don’t get the full effect as there isn’t the room. I’d say this is an outdoors toy. It’s hard to capture the lights that light up at the top, they do and it looks good. It also glows in the dark, but again I couldn’t capture it. However, trust me it looks awesome. 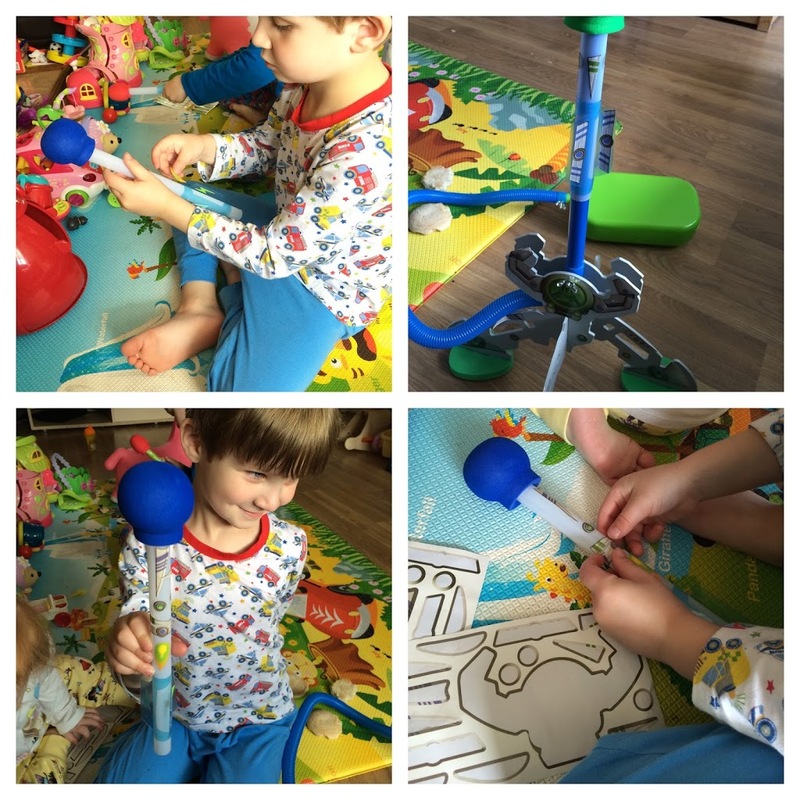 We found the whole kit to be an awesome tool in terms of scientific learning, imaginative play, and good fun. 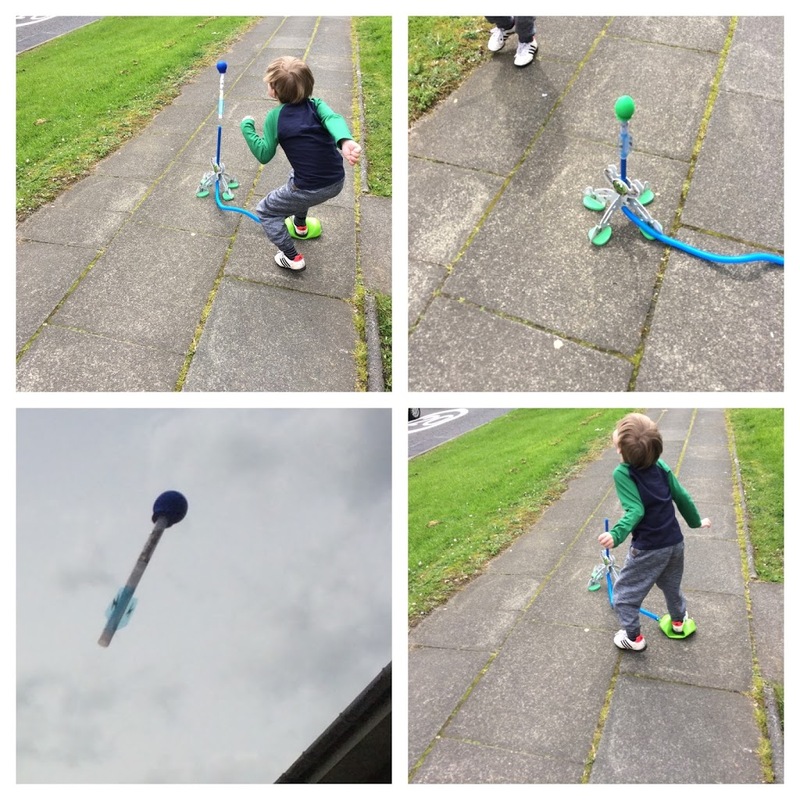 This is the perfect kit for play time, parties, and a day at the park because it gets kids outside and provides hours of entertainment and excitement as kids take turns launching the different sized rockets and chasing after them. The kits are available from Kind Toys. These would make a great birthday present, great fun or something to keep the children occupied over the Summer holidays for hours. It’s definitely something we are playing with again and again. Also to support #AsobiAmbassadors, Kind Toys are offering a 20% discount off all The Orb Factory Products throughout June using discount code ORB at the checkout. The other Asobi Ambassadors have been reviewing different The Orb Factory Kits, see what they thought of them and enter their competitions too Edspire, A Mummy Too and Lilinha Angel tried.